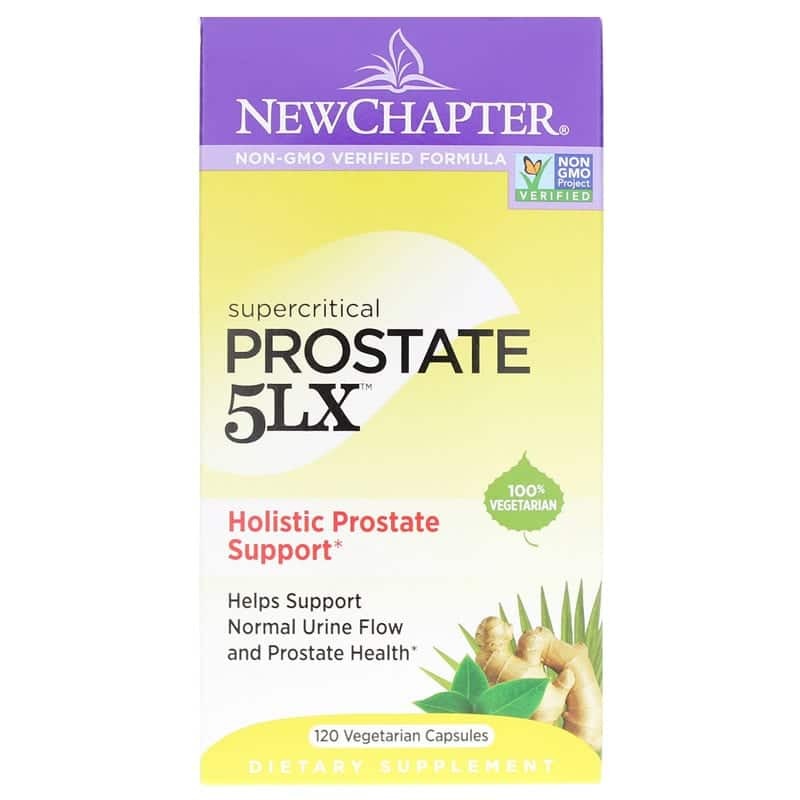 Ideal for men over the age of 40 who want to be proactive about their prostate health, New Chapter Prostate 5LX is an herbal supplement that helps support and maintain the well-being of the prostate gland*. 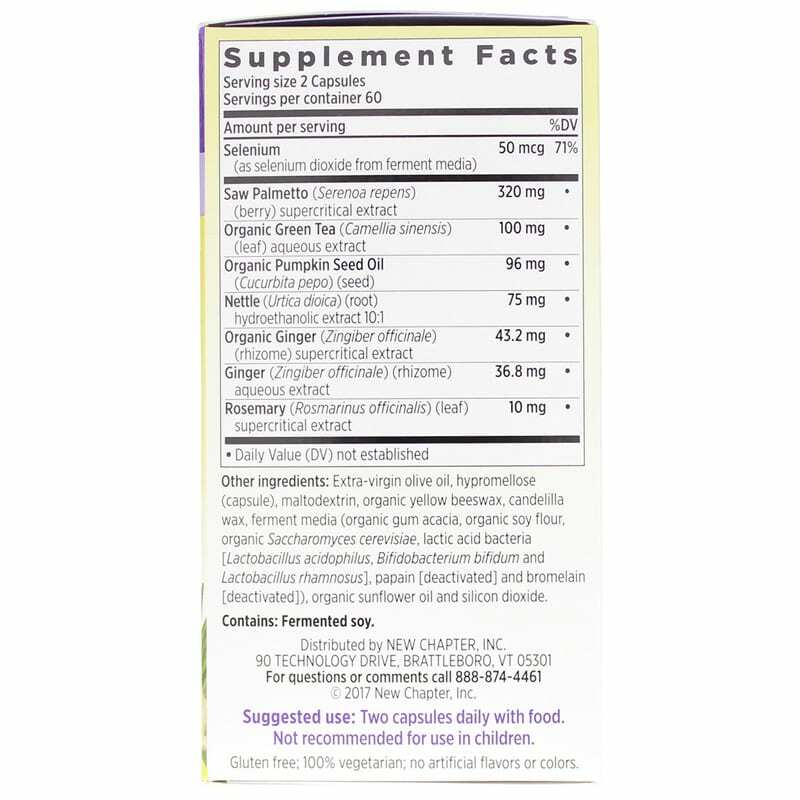 This supplement offers a unique blend of herbs including saw palmetto, ginger, selenium, and rosemary. Each herb plays a role in prostate protection, from promoting healthy prostate function and urine flow* to naturally modulating the inflammatory enzyme 5-lipoxygenase*. Prostate health is a difficult subject for men to discuss, but it’s something they must pay close attention to once they reach the age of 40. After this age, physiological factors such as hormone imbalance, inflammation, and oxidative stress can begin to affect the size of the prostate, as well as its cellular DNA. By taking the herbal supplement, Prostate 5LX, a man can help support and maintain his prostate health*. The inflammatory enzyme called 5-lipoxygenase (5LX) can affect cellular DNA by disrupting the mechanisms responsible for maintaining normal cell growth and replication. * As a result, it’s important to modulate 5LX. Prostate 5LX does so because it contains ginger, one of the richest sources of 5-LO modulators. New Chapter Prostate 5LX supplements (120-count bottle) with instructions for use.